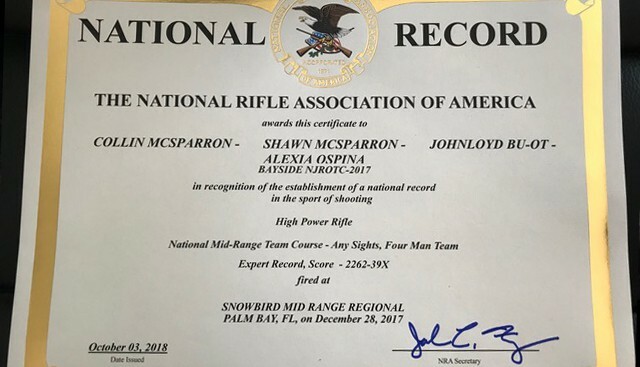 Team Loader Monkey wasn’t the only squad setting national records with Criterion pre-fits at the 2017-18 Port Malibar Rifle & Pistol Club Snowbird Mid-Range Regional. 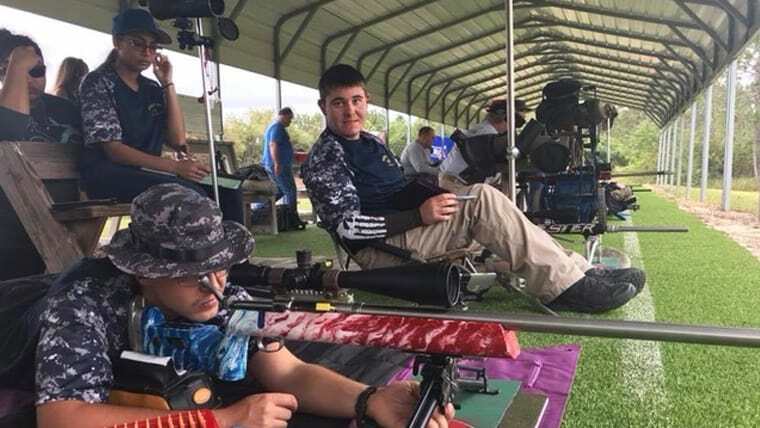 The Bayside High School NJROTC Team set a national record of their own with a 2262-39X Expert Record Score (National Mid-Range Team Course – Any Sights, Four Man Team). 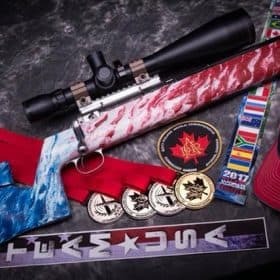 Junior shooters Collin McSparron, Shawn McSparron, Johnloyd Bu-Ot, and Alexia Ospina set this new record with their 30” .308 Win FTR chambered Criterion Savage large shank pre-fit barrel. The Bayside HS team had their barrel mounted on a Savage FTR 12 bolted to a McMillan XIT stock. Completing this build was a SEB Joypod and a Sightron SIII 10-50×60. The ammunition and handloads used in this record-setting performance were tested and loaded by the cadets themselves, using Berger 200 gr. Hybrid Target bullets, Lapua Palma .308 brass, Remington 7 ½ Primers, and 42.5 grains of Alliant ARCOMP. Our sincere congratulations go out to the Bayside High School NJROTC Team for a job well done. 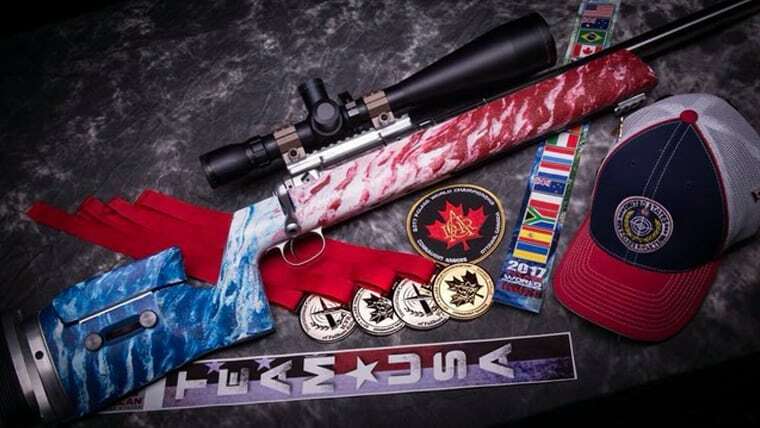 Per Criterion Barrels policy on national record-setting shooters, we will be sending the Bayside HS team a complimentary pre-fit barrel of their choosing. 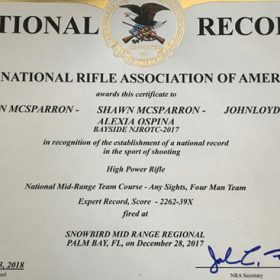 This entry was posted in Articles, National Records, Reviews, Shooter Testimonials. Bookmark the permalink.